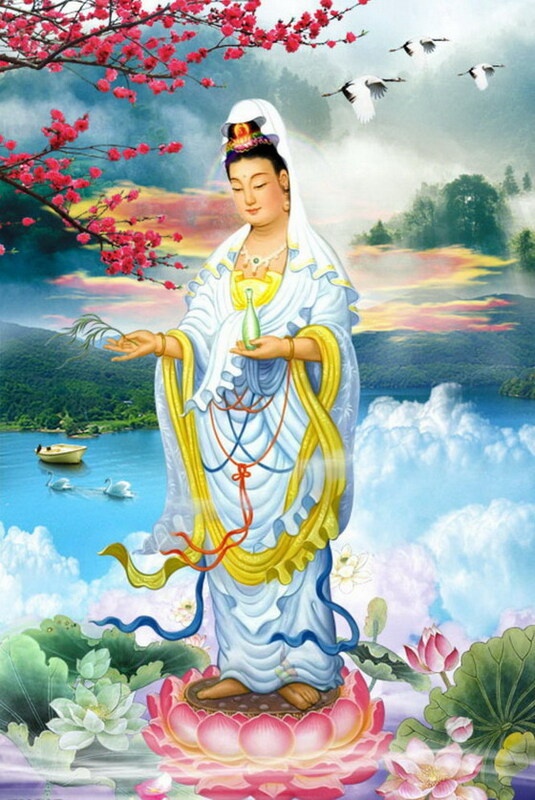 Avalokitesvara (Guan Yin) Bodhisattva, who attained Buddhahood in the past named “The Tathāgata with unlimited power, great compassion. ” Any living beings harassed and vexed, and troubled by countless sorrows, burdened without cease. The Bodhisattva’s wondrous wisdom-power will help the suffering world obtain relief”. This is symbol of the Bodhisattva’s mercifulness. Since Tang Dynasty the practise of worshipping Guanyin has spread widely and piously. Therefore on every Lunar calendar Feb 19 is Guanyin Birthday, Jun 19 is Guanyin Enlightenment day and Sep 19 is Guanyin Renunciation day. Let’s get together on this auspicious occasion and pay homage to the Great Compassion Bodhisattva for world peace and harmonious society. By just reciting the Name the reciter shall be blessed with the Holy water to lighten one’s sufferings, and the seeker shall be blessed with wisdom and happiness.